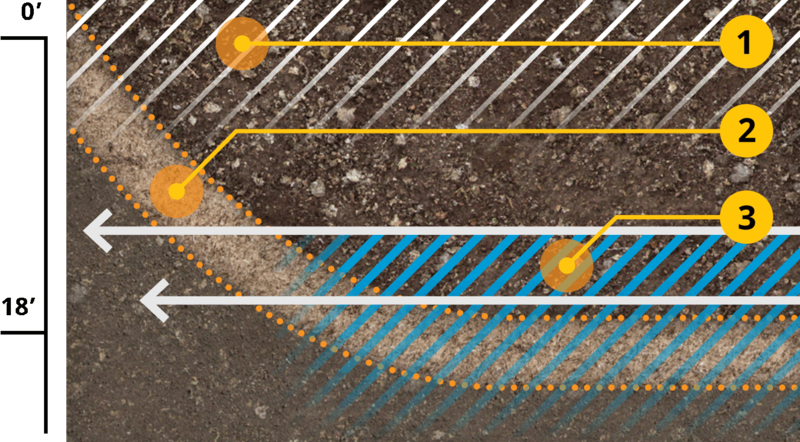 When engineers and contractors explore Soil Stabilization from the start of a job, savings of both time and money can increase dramatically. Engineers were faced with solving foundation issues caused by improperly placed fill material with high moisture content that had been placed atop 3′ of buried organic material, reaching depths of up to 18′. This combination made standard foundation construction impossible, prompting engineers to explore alternate solutions. Caissons were originally specified to support the foundation, reaching into the stable subgrade below. This support system would require a non-conventional underground piping & construction process; a method that is known to cause major delays in construction and unexpected costs in maintenance. Rock Solid value-engineered a Soil Stabilization process to re-use existing material and avoid non-conventional construction methods, saving money and time.